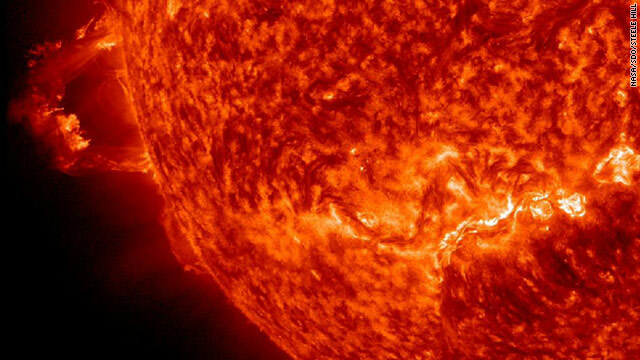 "The Sun erupted with two prominence eruptions, one after the other over a four-hour period on Nov. 16, 2012. The action was captured in the 304 Angstrom wavelength of extreme ultraviolet light. It seems possible that the disruption to the Sun’s magnetic field might have triggered the second event since they were in relatively close proximity to each other. The expanding particle clouds heading into space do not appear to be Earth-directed."